It happens when you are least expecting it, usually on the way to an important meeting, or whilst wearing a new pair of shoes, or during a leisurely walk. It is one of the most unpleasant moments and unfortunately most of us have experienced it. That’s right; I am talking about stepping in dog poop, something that would not happen if all dog owners undertook their duty of cleaning up after their pets. Whilst this experience if very unpleasant, the knock on health effects can be extreme. In the process of trying to remove the poop we will inevitably transfer traces of it onto our hands and clothes. This poop contains a variety of germs, parasites and bacteria, which can put you, your children and pets at risk of illness. A single dog poop can contain over a million worms; the eggs from these worms can cause blindness which cannot be cured. 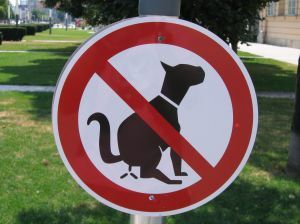 Children can be particularly at risk from coming into contact with the dog poop when careless owners let their dog’s foul children’s play parks. The littering also has a knock on effect on the cleanliness of our environment as storm water carries dog waste and pollutants directly into our waterways. So what do we do to clean up our streets and stop this foul form of littering? Obviously if you have your own dog always be prepared for those number two moments. Have a plastic bag to hand, turn it inside out place your hand inside it, pick up the poop and tie a knot in the top. Do not leave the plastic bag with your dog poop beside the road or in the hedge, it is your responsibility to find a bin to put it in. There are a variety of pet poop scoops on the market which now make this process easy so there is no excuse being an irresponsible dog owner. This is a simple process yet we still see owners gazing off into the distance pretending nothing is happening when their dog is fouling the streets. In recent years it has been made illegal to let your dogs foul the streets and not clean up after them. You can be given a £80 fixed penalty notice and if you are taken to the local courts you can get a maximum fine of £1000. If someone is consistently fouling a local area contact your council to find out their system for reporting dog fouling. Other ideas to help clean up your neighbourhood include placing friendly notices in your local park or at the start of a walkway asking owners to clean up after their dogs. Encourage neighbours to put up posters in their windows, for example: ‘We love your dogs, we hate their poo, pick it up.’ Talk to the council about adding more dog waste bins making it easier for the dog owner. If you see someone walking away from their dog poop politely ask them to clean it up, you could offer them one of your dog bags if you have one to hand. With the advent of some innovative pooper scoopers on the market the dog poop problem should be a thing of the past, let’s all encourage all dog owners to take on their responsibilities and hopefully we will never again have to experience that sickening squelch we all hate.